Chinese influence in East Africa is a topic of growing debate and concern for Western nations and allies. In fact, this purported growing Chinese influence in the region continues to expand as a prominent issue for United States (U.S.). The desire for the U.S. to protect its national interests in the region is apparent. Specifically, this is a growing concern for the Combined Joint Task Force-Horn of Africa (CJTF-HOA). CJTF-HOA is strategically located in Djibouti on Camp Lemonnier and has a diverse mission that includes conducting security force assistance, executing military engagement, providing force protection, and military support to regional counter-extremist organization operations with the goal of supporting allied regional efforts, ensuring regional access and freedom of movement, and protecting U.S. interests (CJTF-HOA 2018). CJTF-HOA also maintains an area of responsibility (AOR) that covers the East African nations of Burundi, Djibouti, Eritrea, Kenya, Ethiopia, Rwanda, Seychelles, Somalia, Tanzania, and Uganda. CJTF-HOA respects the sovereignty of each of its AOR countries, even though many of its operations and engagements have as a major goal to maintain influence in the region. The task force is not the only group to partner with the various AOR countries: Chinese financial aid, diplomacy, and involvement has been heightened with the establishment of a Chinese Support Base just miles away from CJTF-HOA’s Headquarters. The Chinese base, built for the People’s Liberation Army Navy (PLAN), has direct access to the Doraleh Multipurpose Port, a strategic maritime chokepoint on the Gulf of Aden into the Bab-el-Mandeb Strait. This development begs the question: why did Chinese leadership choose Djibouti to build the first Chinese overseas base? Was this decision part of a larger strategic plan to increase influence within East Africa? By financial figures, Chinese aid and investment in Africa has skyrocketed over the last decade. Perhaps this increase is part of the Chinese push for outgoing investment, termed the “Going out” or “Going global” strategy. According to the China Africa Research Initiative, between 2009 and 2012, “China’s direct investment in Africa grew at an annual rate of 20.5%.” Moreover, a white paper published by the Chinese State Council in 2013 indicated: China has become the largest trade partner of Africa, Africa has become a major importer of Chinese goods, Africa is the second largest construction project market (overseas), and Africa is China’s fourth largest investment location (China-Africa Economic and Trade Cooperation 2013). China has also enhanced cooperation in agricultural production, both for importation and exportation. According to the Chinese State Council, “The Chinese government attaches great importance to its mutually beneficial agricultural cooperation with Africa and works hard to help African countries turn resource advantages into developmental ones and sustainably develop their agricultural capacities.” (China-Africa Economic and Trade Cooperation 2013) Moreover, the Chinese State Council indicated the significance of capacity building throughout the continent. Of note, the white paper highlighted that China aids African nations while avoiding any demands for changing political conditions. To further this point, the State Council demonstrates this example by providing support to nations such as South Sudan, Malawi, Djibouti, Guinea, and Togo, easing water issues and improving the conditions of local facilities. (China-Africa Economic and Trade Cooperation 2013)Redefining its focus in East Africa, China has concluded at least 15 bilateral deals and has even forgiven enormous sums of debt. As China’s Belt and Road initiative starts to take hold in Kenya, Uganda, and Rwanda, it might seem that its sole permanent military footprint outside of sovereign China may be getting overlooked by Beijing. However, China has now preserved a logistical hub exactly where it needed it. China’s role as a resource extractor will almost certainly continue: China now not only has a large workforce in nearly every East African nation, it also has the ability to remove its gains one ocean-going barge at a time from its deep-water port in Doraleh. 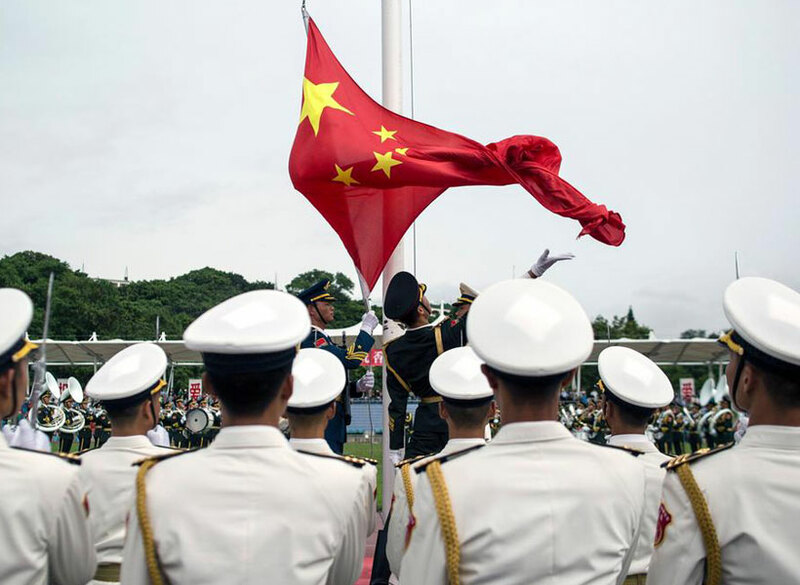 The military base will allow China to provide protection for its citizens in Djibouti and the greater Horn of Africa region, an ability that China currently lacks in other African nations. However, “experts warn that by relying too much on China’s infrastructure projects, Djibouti could become trapped and enter a state of quasi-dependence on Beijing.” (Dube 2016) While this warning heralds potential implications for Djibouti, this dependence could be a vital component of Chinese strategy. At the current juncture, over 80 percent of Doralehport traffic comes from Ethiopia, which has no coastline. Chinese investments, including the commissioning of the railway between Addis Ababa, Ethiopia and Djibouti, will strengthen the position of Djibouti as one of East Africa’s largest logistics gateways. By significantly increasing the share of port activities in Djibouti’s economy, Chinese projects will increase Djibouti’s vulnerability and dependence. However, as Ethiopia and Eritrea continue to smooth previously tense relations, Ethiopia is seeking to utilize Eritrea rather than Djibouti as a logistics hub. This potential move no longer only has implications for Djibouti, but China will now likely be a major player in the steering of this decision, as the port’s profitability has various implications for China’s continued success in the region. We believe that China and Africa are a community with a shared future. China is the largest developing country. Africa is the continent with the most developing countries. Sharing weal and woe, the Chinese and African peoples have forged a deep friendship rooted in our similar historical experiences, development tasks, and political aspirations. We agree to strengthen collective dialogue, enhance traditional friendship, deepen practical cooperation, and work together toward an even stronger China-Africa community with a shared future. The next concept, correlativity, notes that all things relate to one another. This type of thinking is visible in the Chinese Belt and Road Initiative. Using the aforementioned excerpt from the Beijing declaration at FOCAC, this diplomacy and fostering of a positive interconnection between 53 African nations is apparent. The choice of words like “deep friendship,” “similar historical experiences,” “collective dialogue,” and the phrase “stronger China-Africa community with a shared future” speaks to the collectiveness of nations to achieve shared goals through cooperation. The third element, complementarity, describes the world as composed of two opposites. These opposites, the thesis and anti-thesis, “work as opposing forces to complete a transformation into this new synthesis.” (Yaqing 2012)While the Western world may remain wary of Chinese involvement in East Africa, this anxiety does not inherently wield conflict. In fact, China’s goal for stability and increased capacity building aligns with the American CJTF-HOA’s purported goals in the region. Finally, changeability is a concept that contends that “seemingly irrelevant or even opposing objects can change, turn into each other, and become part of a combined whole.” (Yaqing 2012)It is this type of mindset that could explain why the Chinese started to invest and engage in Africa when other near-peers would not. They saw the promise of natural resources and the determination of the African nations to open up and do more globally. The Chinese theory that everything constantly changes and that “misfortune can be a forerunner for fortune” lends itself neatly into the current East African sphere of politics and foreign policy changes. (Yaqing 2012) One could hypothesize that the Chinese cultural outlook on change, coupled with the ongoing change afoot in the region, created a perfect situation for the current Chinese foreign policy expansion in East Africa. This has been shown by the amount of effort put into the recent FOCAC symposium by the African Union nations and also in the amount of money the Chinese are willing to invest into the area. The culture of any nation plays a role in determining policy. Some cultures drive initiatives and actions more aggressively than others. In this case, China is the nation that arguably has found an ability to successfully tie to its culture to the cultures of the East African region. If it continues to be successful in promoting this transcultural connection, then China will likely continue to outpace and outperform the United States in this critical global region.